Note: My trip was sponsored by Experience Romania. Therefore, this article includes advertisement about the destination. As always, all opinion and reviews are my own. I didn’t know a lot about Romania. But when I got invited to travel around the country for two weeks as part of the Experience Romania project, I didn’t need to think twice. Since I never actually considered backpacking Romania before, I had no idea what to expect from this country and was super excited about this spontaneous opportunity. And all of a sudden, I was sitting in a bus with 40 fellow travel bloggers and social influencers, discovering and exploring Romania. During my two weeks traveling around the country, I fell in love with Romania! 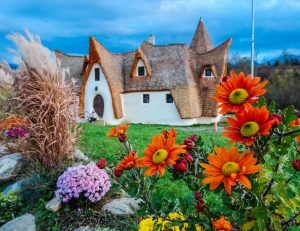 Here’s why Romania is the new backpacking hotspot of Eastern Europe! 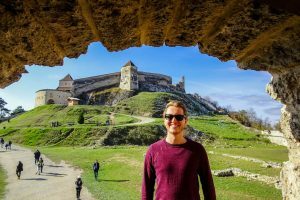 Great news for everyone traveling on a low budget – backpacking Romania is super cheap (especially compared to other European destinations such as Barcelona)! You won’t need to pay more than 10€ for a night in a hostel; private hotel rooms are very affordable as well. Only 5€ buy you a meal at a nice restaurant or a sim card with 15GB of mobile data. You’ll be able to explore Romania for approx. 30€ a day, making it a great budget destination. Especially if you travel solo, an unknown destination such as Romania might be scary. But don’t worry, it’s safe and easy to backpack around Romania. Most people speak at least basic English (in some parts even German! ), and whenever you’ll get lost, friendly locals will help you out. A network of trains and buses connects all major parts of the country and in bigger cities, Uber and Taxify are super cheap and popular. You’ll also find plenty of hostels, guesthouses and tour agencies. Romania’s medieval villages and castles will take your breath away. Tiny streets, old buildings, churches, citadels, and fortresses – every corner is another picture opportunity. For Dracula fans, Bran’s castle – just outside of Brasov in Transylvania – is the place to visit. Safety is always an important issue, especially for solo travelers. Luckily, Romania is a safe country to visit. While tourists need to be aware of the usual travel scams and pickpockets (as everywhere in the world), I always felt safe in all the places I visited – daytime and nighttime. Romania is a place full of interesting and exciting history. 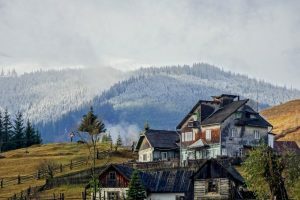 Visit the painted monasteries in Bucovina, travel back in time visiting old citadels, learn about the German influence in parts of the country. You certainly won’t get bored! Are you looking for a place which isn’t overrun by backpackers and gap year students? Would you like to go somewhere unexplored? A place which will actually surprise you? Go to Romania! 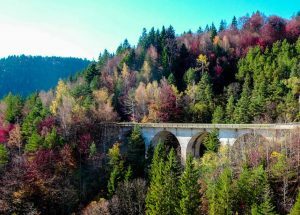 Endless forests, mountains with incredible hiking opportunities, stunning gorges and waterfalls – Romania has it all! 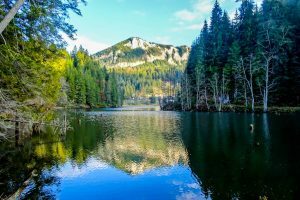 If you’re into the outdoors and if you enjoy scenic views, pack your backpack and head to Romania to experience wonderful nature and scenery. All the locals I met in Romania were extremely friendly and hospitable. No matter which place I visited, everyone was happy to welcome tourists and eager to share their culture and traditions. As a visitor, you’ll immediately feel welcome in Romania. I had no idea that Romania would actually be so picturesque! I was surprised to find so many cute, colorful towns. 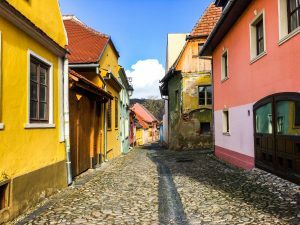 Make sure to stroll through the cute town Sighișoara, spend a few days in Sibiu and explore Brasov and its surroundings – here you’ll also find the famous Bran’s castle, where the legend of Dracula was born. Also spend a few days in Bucharest, a great city to explore. Romania’s culture is rich and beautiful and people are proud to show and share it. My trip through Romania was full of wonderful cultural experiences. I even got invited to a traditional Romanian wedding! Romania’s culture is an absolute highlight of every Romania trip. 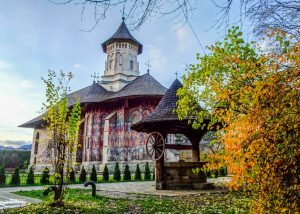 Don’t only stay in Bucharest, but head out and explore the more traditional parts of Romania as well – you will not regret it. My visit to Romania was unplanned, spontaneous and unexpected. But most important, it was wonderful! My special thanks go to the whole team of Experience Romania and all the sponsors who made this project possible. Traveling around Romania was an incredible experience and I’m thankful for being part of it. There are so many awesome things to do in Romania and I can’t wait to be back to explore more regions and places in Romania, such as the coastline along the Black Sea, Salina Turda (a salt mine and theme park! ), as well as the West of the country. By the way – you can easily combine your Romania trip with some of the neighboring countries in the Balkans. 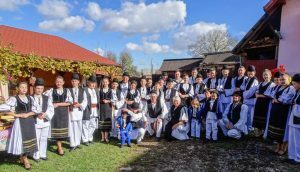 Check out this article for more reasons to travel the Balkans! This entry was posted in Europe and tagged backpacking romania, europe, experience romania, romania. India Backpacking Guide: Highlights + Best Places to Visit! I am planning a trip in July for 5 weeks with a friend of mine. We both have backpacked for about 2 years on the road but now we are in our late 40’s. What travel routes and timelines would you suggest. We have about 5 weeks. Do you recommend that we book hostels ahead of time or can we just book it when we are there? Hi Sebastian! Start your trip in Bucharest and then explore Transylvania from there. If you enjoy the beach, make sure to check out the coast as well (I haven’t been there yet, unfortunately). 5 weeks is a good amount of time. If you’re not going in high season, there should also be enough accommodation. Enjoy your trip!! Sebastian, how will you be arriving in the country? Via car or plane? And if via plane, where will you land? any info on the steam train you took ? from where to where …..looks amazing ! any info would be much appreciated . Thanks for all that useful data you are sharing here! I have a question: Do you know how the law works in regards of camping? I´m an experienced hiker who would love to jump from national park to another camping most of the time. I don’t care about hostels much but I’d like to know If camping is allowed outside cities and if it’s ok with the local culture. Surely there are places you can sleep out under the stars. I have never been anyplace I couldn’t if not to dangerous. Really. What’s the point of backpacking. Sure you can, have fun in Romania!